Carnival is a 4 ounce blend of vibrantly dyed fibers designed especially for creativity in spinning and felting projects. 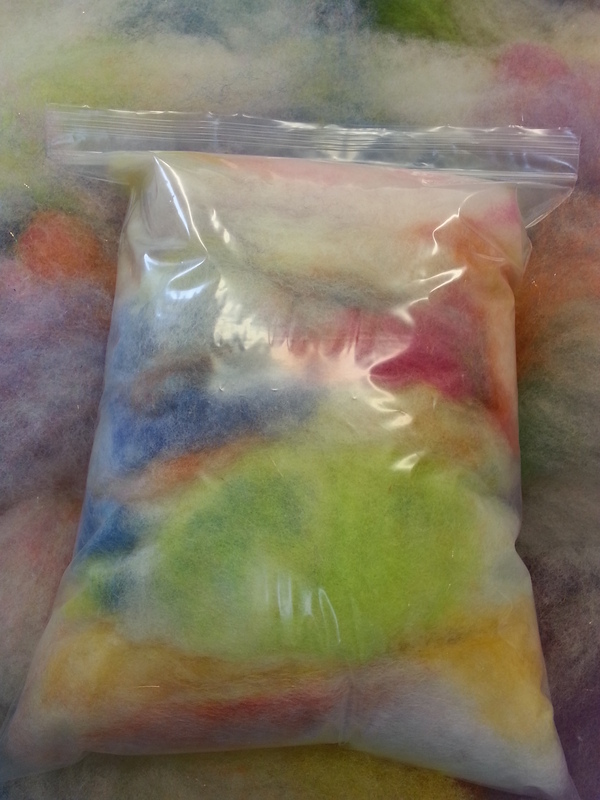 This blend creates a fantastic, colorful hand spun yarn (see the pictures of yarn). Bright, florescent colors set in a white base! 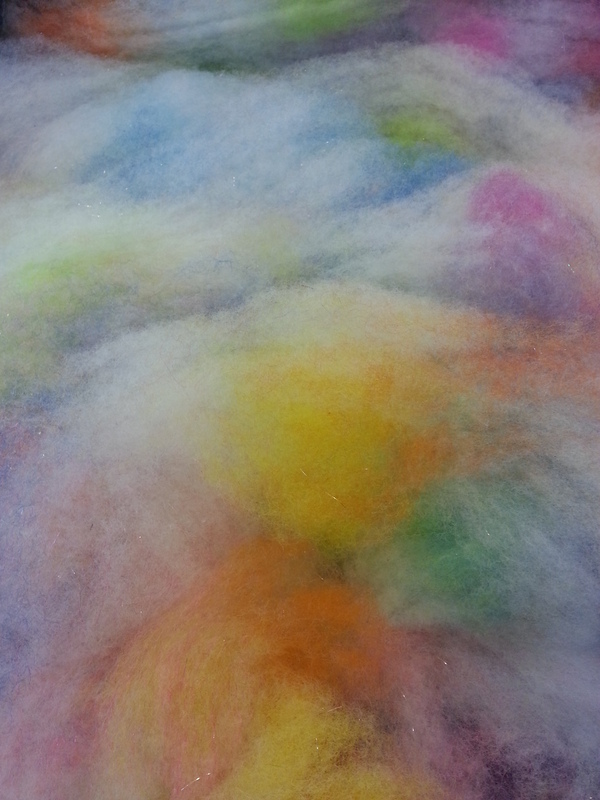 This cloud of fiber is easy to spin and the colors are engaging. 100% made in the USA from homegrown, hand washed, dyed, blended and carded Bluefaced Leicester & Merino wools, Mohair and firestar (for extra sparkle). 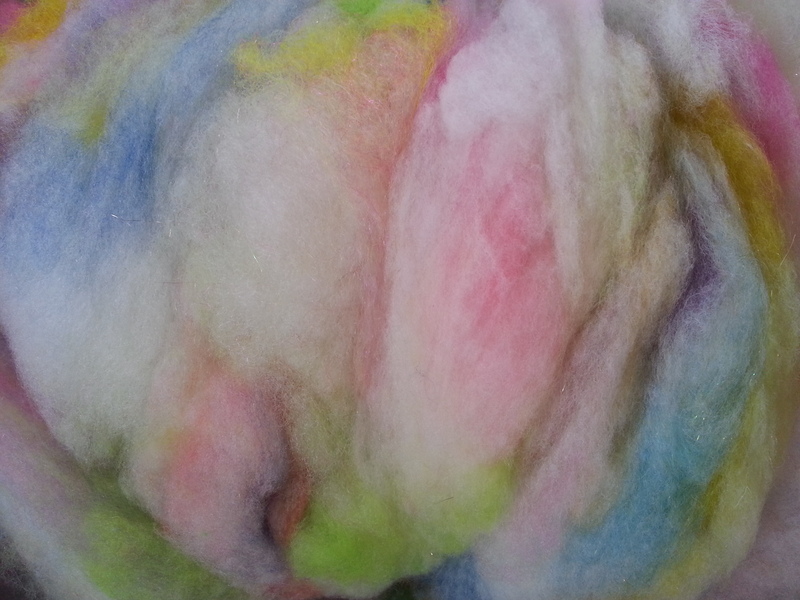 This listing is for 4 ounces of carded wool blend ready for spinning or felting. The yarn and the cowl in the pictures provides you with an idea of how this blend will look when hand spun and hand knit and they are not for sale in this listing. CARNIVAL is an opalescence blend, available only at Dakota Carding & Wool Co. and is also available in 8oz and custom order 1 pound lots.